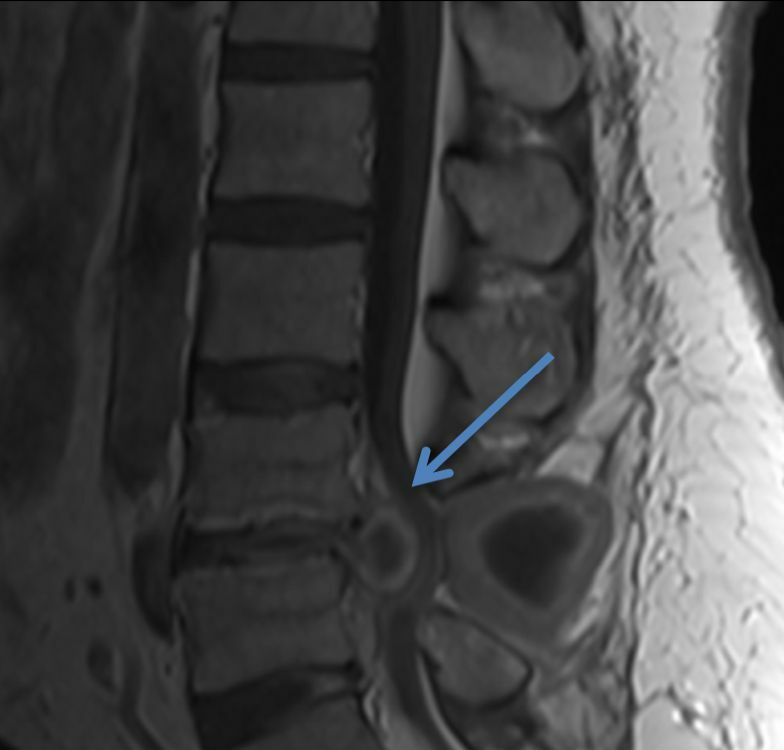 Status post laminectomy at L4-L5. 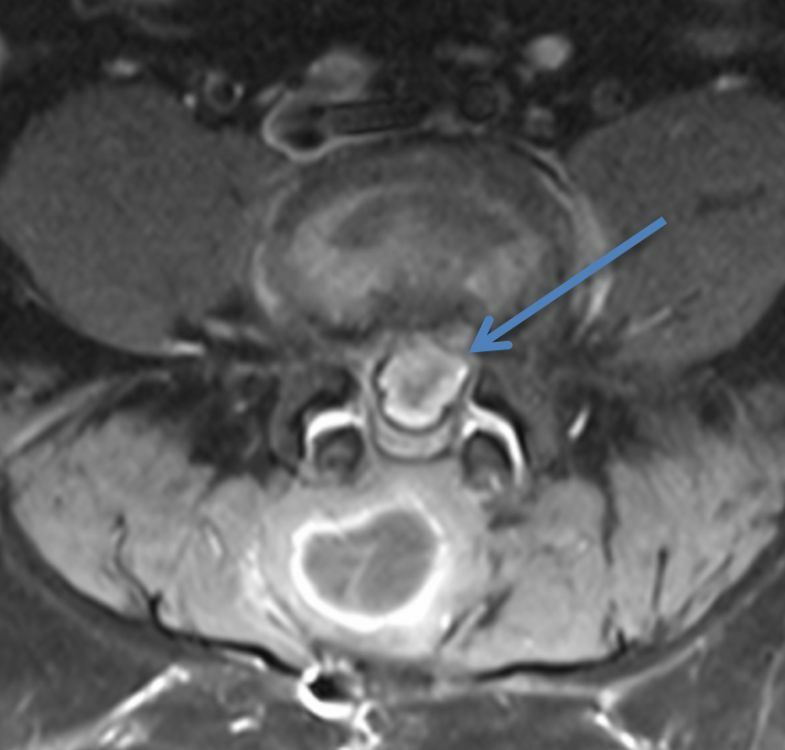 There is a well-defined, thick-walled lesion at the laminectomy which is hyper dense on CT (A). 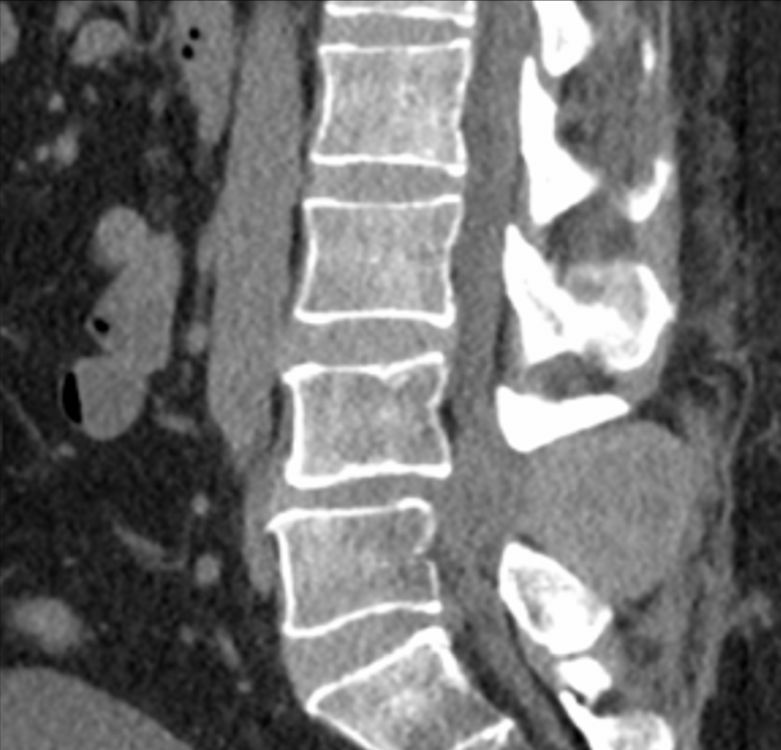 Its walls are hypointense on T2W (B,D), hyperintense on T1W (F) and show enhancement (C,E) after contrast administration. 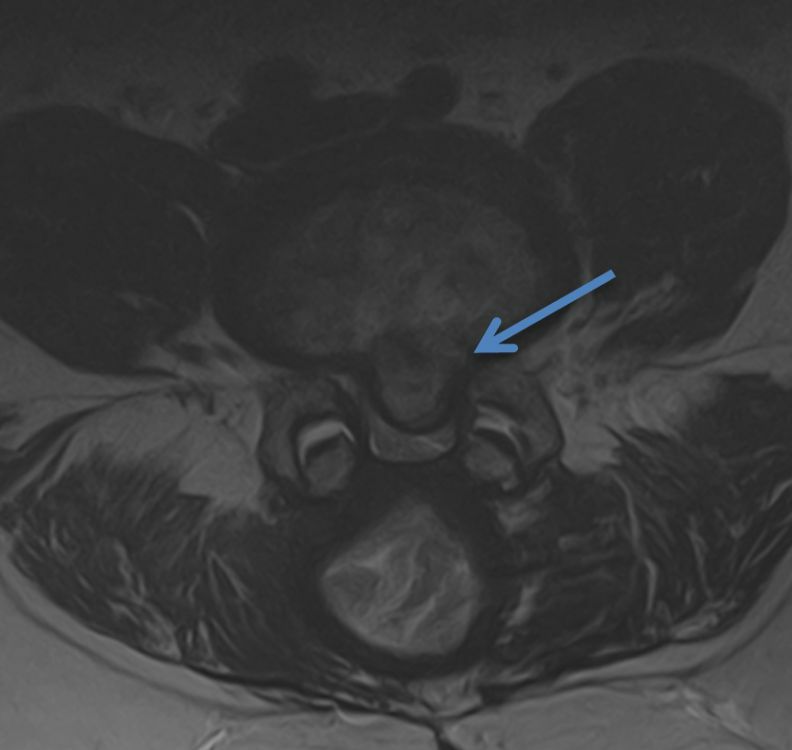 No internal enhancement seen. 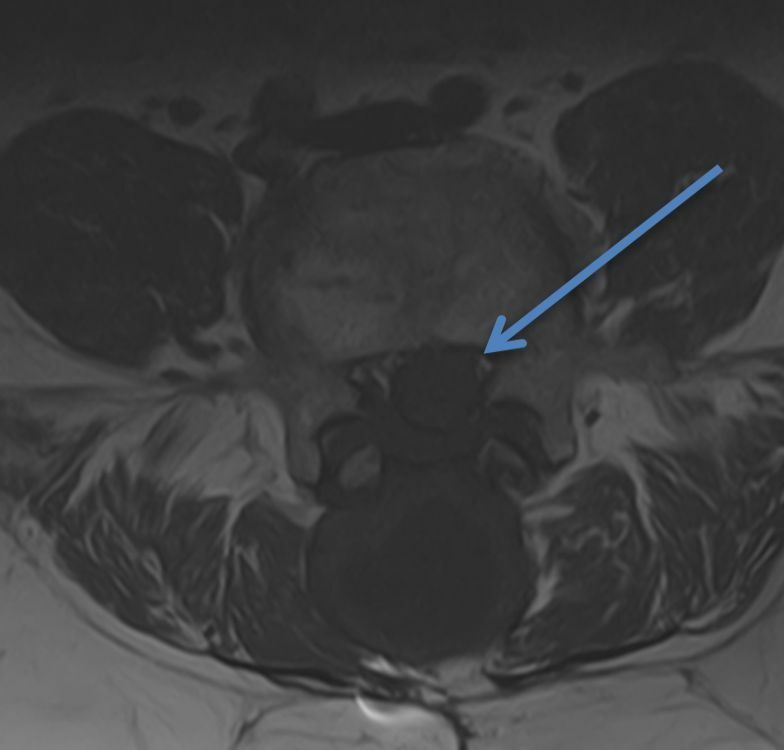 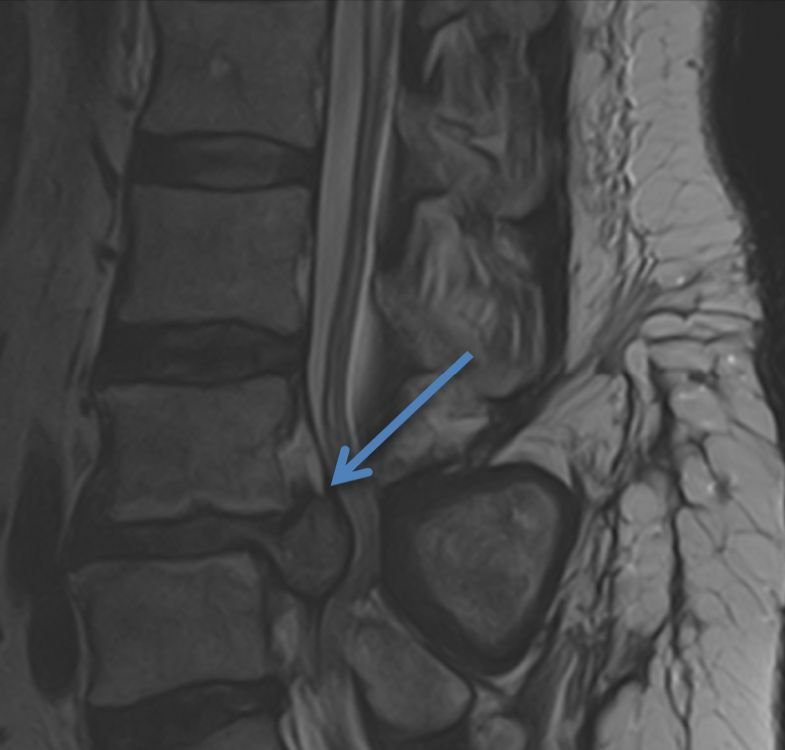 There is also a large, extruded recurrent L4-L5 disc herniation inferiorly migrated (arrows) causing severe canal stenosis and compression of the roots of the cauda equina.